I’m not allowed to eat a ton of junk food, per mum. She likes for my treats to be healthy – I just want ’em to taste good. Occasionally, her pocketbook is a little light and we have to go for the cheaper stuff, which is how I got today’s Chewnola. 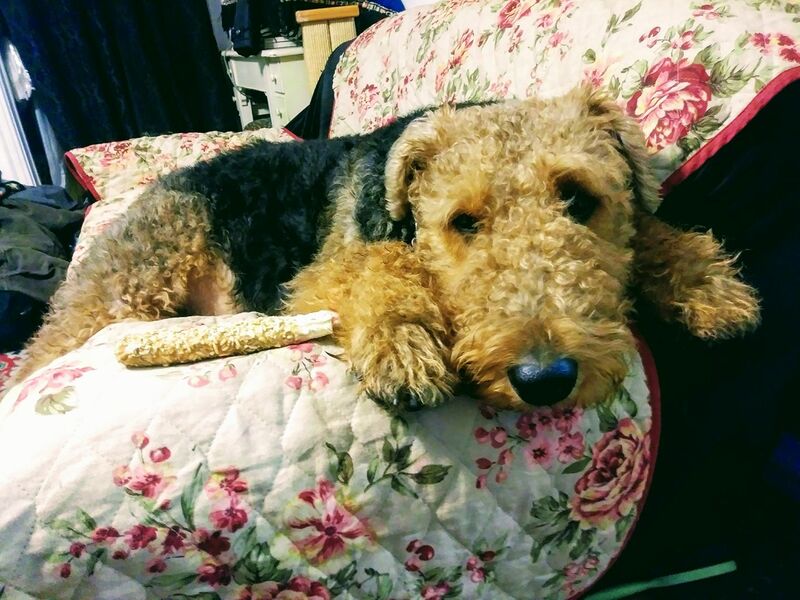 I had my usual fun when she gives me a bone – where I grab it, run away at top speed, then drop it on the ground and jump up and down in celebration before actually either eating it or throwing it up in the air. Normal stuff. But this was quite tasty – a little sticky on the outside when finely chewed, but kind of yummy. Too much to eat in one sitting, however, so there was time to pose with my bone.